Aside from Beer & Cheese, Vermont is known for our long snowy winters, and for us driving enthusiasts that means one thing - rust. Generally speaking your local Body Shop is the best place take care of most rust repairs but, when it comes to preventing rust, it is always best to get ahead of it before it starts. This is where the Rust Prevention Experts at The 4x4 Center excel. Here are some of the big questions we get regularly to give you an idea of the type of work we do, and how we do it. How can I protect my undercarriage from rust with all the salt on these roads? The 4x4 Center offers a "Fluid Film" process where we undercoat your vehicle. Fluid Film is created using a very intricate heating and blending process that combines wool wax with selective polar agents and rust inhibitors. This creates a very unique lanolin-based formula that slows existing rust on contact. As the film penetrates existing rust it creates a fluid, self-healing, barrier that stays active and does not chip or crack, protecting your undercoating and exposed metals for an extended period of time. Safe for use on all metals, it doesn't hurt your paint or plastics and provided additional lubrication for all your vehicles moving parts. Fluid Film is best applied in the fall, before winter arrives, and our rates start at $150 for small cars and go up to $200+ for large and extra large vehicles. For $150/year, you can't beat this kind of protection! 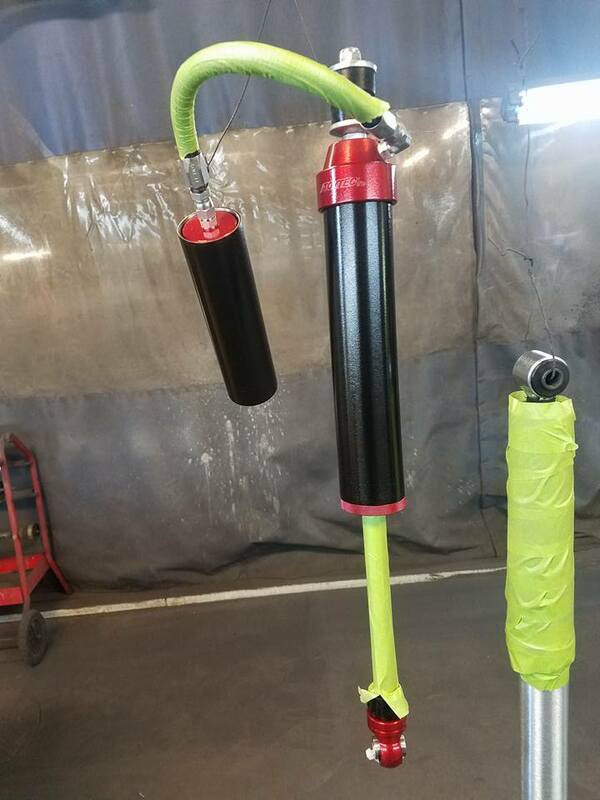 A lot of what we do includes upgrading vehicles - whether the shocks in your vehicle are worn out and you are just replacing them or if lifting a truck several inches you are upgrading your vehicle with new parts that you expect to last a long time. The reality is, mother nature and the salt on the roads have a different plan for those parts.. Before your installation, ask about our Rust Prevention Services! 4 Stage Rust Prevention Service - $149. Includes multiple added layers of clearcoat and chip protection. 5 Stage Rust Prevention Service - $249. Includes multiple added layers of clearcoat and chip protection before being vinyl wrapped to lock out the elements. Do you have other questions about the rust on your vehicle? Give the 4x4 restoration experts a call and we'll set a time to take a look at it with you. See our Restoration Projects for some of our heavy lifting repairs.